Biometric Face Attendance Machine (MultiBio 700) is a new generation multiple biometric identification product, standard integrating with Face, Fingerprint, PIN recognition and optional with RFID mode, as to facial identification algorithm, it captures the relative position, size, and shape of user’s eyes, nose, cheekbones, and jaw features, these feature templates are used to be matching feature data, when users verify on device, it distills captured features into value and compares with templates to eliminate variance. 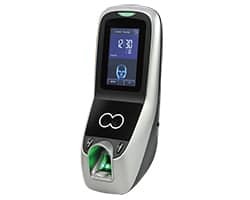 MultiBio 700 may hold 500 faces (optional 3000) without dividing groups, its default identification mode is Fingerprint & Face, additionally, as it is a kind of professional access control facial device, it may work with the third party such as electric lock, alarm, door belling, sensor and so on, in order to improve security for human life and enterprise information. These machines have software which is capable of generating 150 plus industry standard reports. 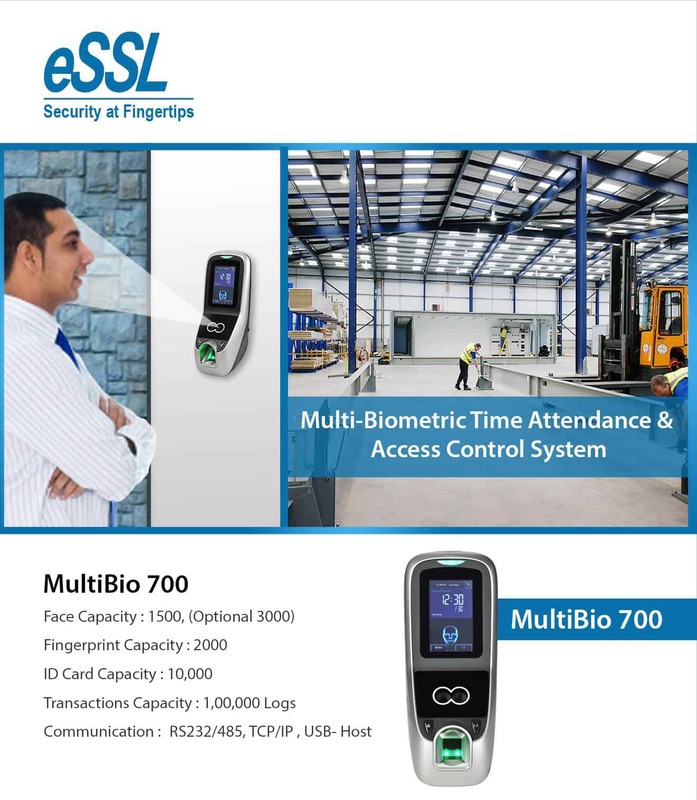 Biometric Attendance Machine can help you in cost saving as it helps you in monitoring your employees’ in and out time. It comes with a software which is capable of generating 150+ industry standard reports. Don’t wait call us or write us we are always available for you to provide best solutions. Please contact us at 9818390836 or info@ampletrails.com if you have any query.